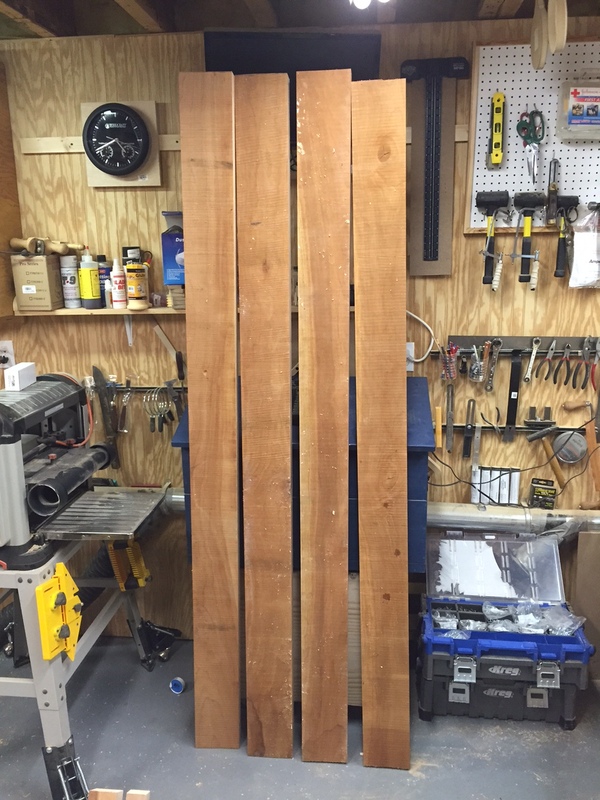 Well, I got the big boards narrowed for the door sides. And I didn’t do it with the hand saws after all. Something about wanting to eat meals and stuff made me drop back to a fence and circ saw. 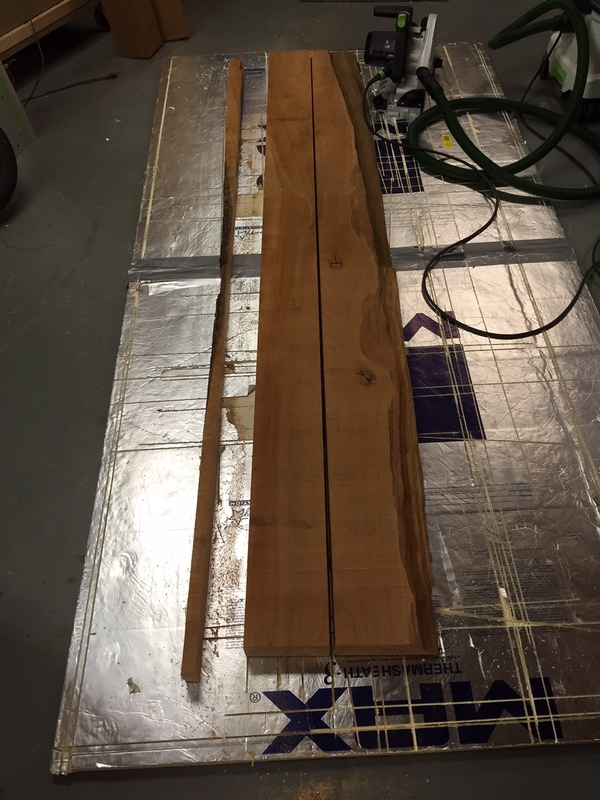 The end results are boards that are now 85″ x 6″ x 2″ and weigh almost nothing compared to before. Thank goodness! Next is to get the cross pieces panels cut to size, before I can start running them on the joiner and planer to get them down to final size for door assemblies. I’m still not sure how I’m going to handle the glass in the top of the door. I would like to have a set of wooden grills over the glass, but until I figure out how to interlock them, I’m going to have to assume the glass may be by itself. I’ll just rely on the curtains over the glass (on the inside? on the outside?) as being part of the decoration. 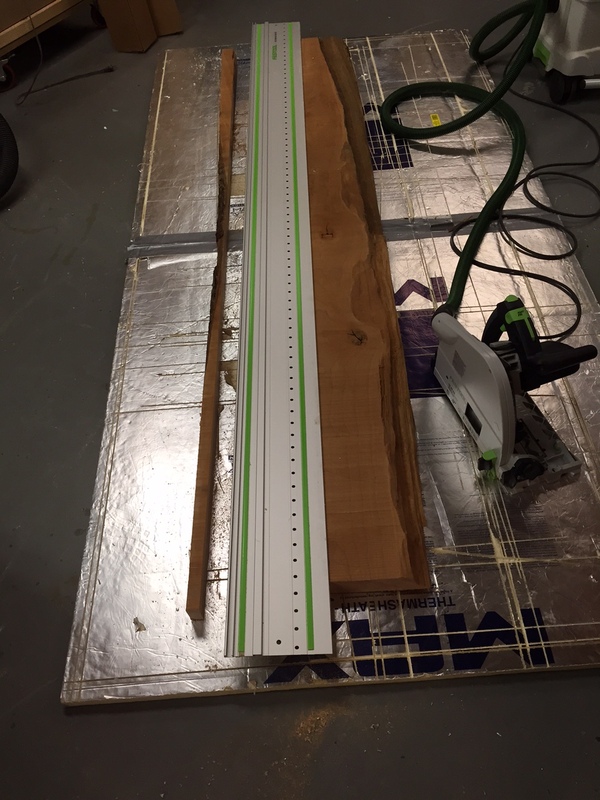 This entry was posted in Shop stuff on May 4, 2015 by bkbiggs.